Thank you very much for coming to the AGM this afternoon. When you consider the benefits of volunteering – meeting friends, learning new skills, finding a job, - the only surprise is that we are not all breaking down the door of the nearest volunteer group. Lacrosse Scotland has always struggled to find volunteers for decades – it is not a new issue - but perhaps this year has been the worst ever and the board have been perilously near being unable to make any decisions because of the lack of Directors. Only three Directors have been working in recent months. Without a strong board, where all the positions are filled and all the Directors are committed to attending meetings, Lacrosse Scotland cannot operate. I was therefore delighted that our plea for volunteers to come forward to fill all the board posts for the coming year was heard and so we have today candidates for all the vacancies. These vacancies on the LS Board must be filled if we have any chance of making a go of Lacrosse Scotland in future and receiving financial support from sportscotland. Volunteering is a vital part of the organisation of LS and running the company with three people is unsustainable. That said a remarkable amount has been achieved this season and there have been some great outcomes. In June 2013 I attended the Women’s World Cup in Oshawa and greatly enjoyed seeing the Women’s Squad perform brilliantly to come 6th in the event. Andy and Jenny Pearson were also there together with Rob and Lorna Powell. I attended some FIL meetings and it was good to have Rob and Lorna there too to provide back ground information and details about the Under 19 World Cup in Edinburgh next year. Some of the player’s parents and family members travelled to Canada to support the Scotland Squad and it was great to have them there. Pauline Davies and Abbie Mitchell took an Under 19 Squad to the festival at Oshawa and so it was good to have their support as well. I attended the US Convention in Philadelphia in January, as did Rob and Lorna, where there were many opportunities to meet other lacrosse enthusiasts from other countries. There was much discussion about the forthcoming Men’s World Cup in Denver this July. Since Christmas I have tried to attend a number of lacrosse events in Scotland and I went to Wales to support the Senior and Under 19 teams. Also there – yes you have guessed correctly - Lorna and Rob, Jenny and Andy and also Emily Salvesen who was umpiring plus Fiona Reid and Stuart. This seems a very good opportunity to thank all these people for doing a huge amount for LS and supporting the International events. I should also like to thank the remaining three hard working members of the LS Board who have worked conscientiously to keep things going this season despite an overload of work with so few people being involved. In particular, Lee has taken on the role of keeping the show on the road and has covered many of the tasks that others would normally have dealt with. I think we would be having a very different meeting today if Lee had not spend many many hours ensuring that the Lacrosse Scotland could continue to operate. Keith has been focussed on getting his guys ready for their World Cup. I think I should mention that Keith joined in the LS Board meeting while waiting to board a plane in Russia. Dedication indeed but otherwise we would have had to cancel the meeting as there would not have been a quorum. Jamie Fleming has also played a big part in keeping things going. His postings on Facebook and the production of The Scoop and the new website in particular have made LS much more visible and it has been possible to highlight the fun things as well as the more serious ones. Thank you Jamie. Inevitably I know more about the activities of the women players and others will be better informed about the men’s League. Keith will be telling you more in a moment. You will recall Lorna stepped down from her role as WPC in order to concentrate on the Under 19 World Cup 2015 but, as no one came forward to replace her, she continued to work very hard to ensure the women’s programme moved forward. Lorna then resigned again and the Board made attempts to find a successor. This was not successful and so the board had to take over decision making for the women’s side. Lorna has never actually relinquished her responsibilities but it is very important that she is allowed to do so now. Thank you very much Lorna for keeping everything going. We really appreciate your work very much. Officials, umpires, coaches, managers, physios, and tournament organisers have given generously of their time in order to ensure games, tournaments, and internationals have taken place. Fiona Reid has managed to resurrect the traditional Women’s University Tournament Schools which has not happened for several years. Bex Lovie has very successful organised the women’s and mixed leagues and kept everyone informed of the ‘state of play’. It is a very big undertaking and we are most grateful to her. Charlie Biggar took responsibility for the MacRobert Tournament, ably helped by Jamie Fleming. Thank you to both of them. Fiona Reid and Bex arranged excellent coaching courses for women this season and Emily Salvesen put an umpiring course in place. I would urge LS members to support these courses. It always looks good on a CV and what you learn could be of great benefit to your club. It sometimes seems that a very small group of the membership organise and run everything – they seem to have been doing this for not just years but decades. Schools have kindly allowed LS to use their facilities at no cost. We are most grateful to them. The Board has tried to listen to the memberships concerns and requests. One problem for many years has been the late publication of the women’s and mixed fixture list for the forthcoming season. With the Under 19 World Cup on the horizon it was seen as a priority to publish it very early and I am delighted to tell you that the board has approved it and it is now available. Please put important dates in your diaries now. Rathbones have made a huge difference to LS since they began to support us and we are delighted that they are continuing to provide support next year and beyond. The Hog Roast at Fettes alongside the All Star Girls event was excellent. Martin Clarke was inducted into the Hall of Fame this year. He was very excited to have been selected. Next year please consider whether you could nominate someone to join this elite group of lacrosse players/organisers/umpires. Good wishes go to the Men’s Squad as they prepare to take part in the World Cup in Denver in July. Our thanks go to the coaching team for all the work they have put in to prepare the players. Good Luck. Finally a huge thank you to the remaining members of the board who have worked so hard to make sure we can look forward to a positive season in the coming year. It's been one of the busiest years for Men's lacrosse in Scotland in the 10 year's I've been involved. 2013-14 saw the introduction of the Men's Premiership and the first ever semi-professional lacrosse league in Europe. 4 teams entered the Premiership, which aimed through both sticks and carrots to introduce a higher standard of attendance, professionalism, and lacrosse quality. To a large extent it has been a great success with more games played than in previous years, paid referees at every game, and a higher standard of games. Through end of year feedback solicited from all players, numerous suggestions have been made and we'll look to incorporate those suggestions in the upcoming year. Both the Men's Premiership and the Men's League were won by St. Andrews University. Many thanks to the Men's League Manager, Stefan Wyroslawski, who arranged and lead the league. It would not have run as it did with out him. Four Scotland-wide development sessions were also held throughout the season where the basics of lacrosse were taught to those just beginning the game at university. Feedback indicating that two streams of developments sessions -- both for beginners and more experienced players -- would be appreciated has been received and will be incorporated into next year's plans. Finally, the beginnings of an indoor, or box lacrosse, league has started in Scotland this year. Regular sessions have been held in Glasgow at a couple of different venues. Further development of this domestic indoor game will be essential as we aim to enter a future World Indoor Championships. Thanks to Jamie Fleming and Stefan Wyroslawski for their help in organising the indoor games. Of course, 2014 will see the biggest ever Men's World Championships with 38 countries contesting. The Championships will be held in Denver, Colorado, from July 10-20th. Considerable efforts have been put in by players and staff in the hope of achieving our aim of improving on our 7th place finish in 2010 and breaking into the top division. In November of 2013 an extended national team of 46 players traveled to Long Island, New York to play Adelphi, CW Post, and Stony Brook. An amazing time was had by all and huge growth was seen in the standard of our play and our understanding of the game. The game against Division 1 Stony Brook was particularly close seeing Scotland level with this outstanding team at half time. From the US Tour and a number of previous and subsequent training weekends, a 30 man squad was selected that will travel to Denver together and play both Canada and Japan in warm up games. In the next month, 23 of those 30 will be selected to contest the 8 game championships. The domestic portion of our national team continues to grow and 40% of the 30 now either live or learned to play their lacrosse in Scotland. This is an improvement over both 2010 (25%) and 2006 (12%). Two Scotland Teams were entered in the British National Championships. One was composed of the 20 UK based players in the National Team and the other was a select team of the best players in Scottish League. Bret Retallick from Edinburgh City captained and organised these "Scottish Misfits" as they fought hard and surprised many of their opponents to a very credible 3rd place finish in the Plate (7th overall). The Scotland National Team had it's best finish since 2005 losing to a very strong Yorkshire entry in the final to finish 2nd. As many of you are aware, John Kenney, a former Virginia Football and Lacrosse player, a former USA U19 Head Coach, father of 4 top D1 lacrosse playing sons, and one of the top High School Lacrosse Coach's in America, has... also been Scotland's Head Coach for the past 7 years. Unfortunately, this chapter in Scotland's history is coming to a close and John Kenney will retire from lacrosse after this World Championships. John has made over 30 trips to Scotland in the past 7 years and his demonstrated commitment to seeing the domestic game develop as well as the international one is unquestioned. I would like to express my most grateful thanks to him on behalf of all of the players for the countless hours he has offered to us and spent sitting on planes, wandering Amsterdam airport, or coaching in the cold and rain here in sunny Scotland. This has been an exciting year for Lacrosse development. We have been able to gain access to various schools throughout the country such as Wallace High in Stirling and Craigholme School in Glasgow to deliver taster sessions and in some instances even set up after school clubs. The year has also seen numerous one off lacrosse projects around the country such as Reidvale Youth ‘n’ Action’s street lacrosse project which took coaches and put them out into a marked off area of the East end of Glasgow and encouraged kids who were walking past to play some lacrosse. This was building on the stable development work that is done every year and the fantastic school teams we have competing throughout the country. My official title is Finance Director, however this last 12 months I have also done my best to cover the gap in Communication & Secretariat and also the vacant Chairperson role since July 2013. As such, my annual report will include elements not obviously within my direct title remit but that I have covered for this last year. Many of you I hope remember the strategic plan concept we presented to the membership at the last AGM in 2013. This last 12 months has seen a process of embedding and working towards that plan, for which I am pleased to say we (the Board) have measured ourselves against the targets we set in July. Since presenting at the last AGM we have also communicated the plan via our website and directly with member clubs through an initiative called the Board Access Program. As part of this program board members visited directly and spoke with club committees about the plan, the direction it lays out and the ultimate vision. We recognise that due to availability and timing issues not all clubs were covered as part of this program, however in the majority all clubs were covered off. •	The first Women’s all of Scotland Development Weekends with coaching from Snr Women’s coach Dave Simpson. Dave also visited every club in person. Men’s and Women’s Snr Coaches delivering 4 local club based training programs. •	Coaching and Officiating courses for Women’s and Officiating courses for Men run in October and November. •	New company website, raising the profile and integrity of our sport, but also assisting in communication with our membership. Officially launched in April, however in soft-launch since November, the site contains a plethora of information for individuals, clubs and potential sponsors. It will be used more and more as a key communication tool and improve governance of the sport through the Policy Corner. •	Rathbones – funding secured until August 2017, in accordance with fulfilling obligations per the contractual agreement. This year, the Rathbones Development Fund has seen its most active year ever – with 19,000 committed to development and growth of the game in 2013-14. The support that Rathbones has shown our sport in the last 12 months through their commitment to supporting as title sponsorship the 2015 FIL Rathbones Women’s U19 World Championship and resigning for another 3 years through till 2017 has been immense. The value this provides to the membership is unparamounted in our recent history and I encourage all members to embrace, respect and be thankful for their partnership. 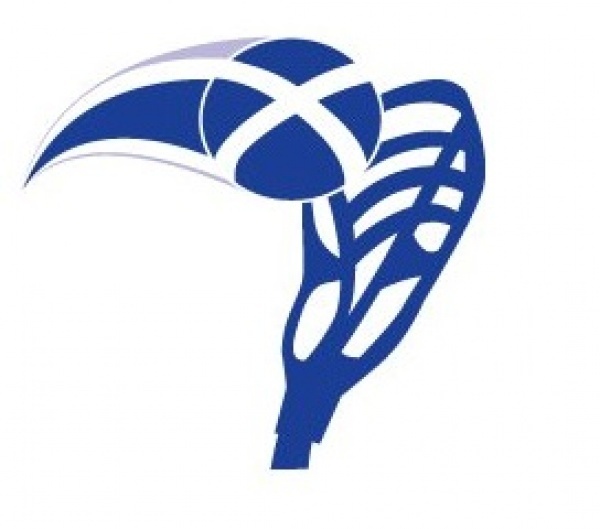 •	Support from SportScotland has also been agreed for another 12 months, however the longer term positioning of Lacrosse needs to be a priority for the new Board. My immediate concerns are that currently in Scotland as a whole the focus is on Commonwealth Games and alternative sports are currently less attractive for investment. 12 months ago I was upbeat regarding our potential to improve the funding stream from SportScotland, however I am now more cautious and believe this will take considerable more effort to achieve – but it can be achieved. The work that the FIL are doing at an international level to achieve World Games status will in turn support the status of the game in the eyes of our local government bodies and the community. •	Business Development Role – this is delivering value for money for the membership and the company and as long as it is financially viable it is absolutely the right thing to be targeting post-grad lacrosse players to fill this role as a sort of ‘graduate program’ for our players. •	Use of technology in PayPal is making financial control easier and more secure. •	Membership application process streamlined – this is now the 2nd year online memberships have been processed, however there are still some clubs that prefer the paper application. I encourage all clubs to get on board with the new system and move away from paper applications. If you don’t feel it’s suitable, talk to us so we know why and maybe there’s something we can do about it. •	Club Packs – a guide to building, growing and maintaining lacrosse clubs has been written and I was hoping to launch it in advance of the AGM but instead decided to pass this to the next board for their ownership and delivery. So watch this space – the guide will provide all clubs with guidance, tips, hints and key contacts to services like, Active Schools, local government funding opportunities and good governance best practice. This was circulated to the membership in advance of the meeting. I now welcome and questions. I would finally like to express my gratitude and appreciation to a number of members and key stakeholders I have worked closely with over the last two years, which have as yet gone unmentioned through other Director’s reports. Both women’s and men’s junior and senior team management, in particular Pauline Davey (U19 Women) with whom I’ve spent many hours working closely with – your skills are an absolute asset. Jacqui Stone and Fiona Fagan, our partnership managers at SportScotland – thank you for your support and guidance these last few years. And finally Julia Taylor, our past president, who continues to work tirelessly supporting lacrosse through engagement with Rathbones. I hope that the new board of Lacrosse Scotland can enjoy their role as much as I have, develop new friendships, new skills and in doing so take forward our beloved game. The newly elected board unanimously voted in favour of re-electing Jane Claydon as Lacrosse Scotland President. Board also acknowledged Lee McCrohan’s appointment as deputy treasurer. Andy, Pearson, Bret Rettalick, Charlie Biggar, Derek White, Emily Salvesen, Fiona Reid, Greg Scott, Jenny Pearson, Rebecca Lovie, Rob Powell, Stefan Wyroslawski. Lee McCrohan was also presented with a certificate and a thank you gift from the board for all his hard work and dedication.